Over a 10Y period, British researchers followed the migration of insects to see what they might see. Their findings are detailed in a study published in the journal, Science. 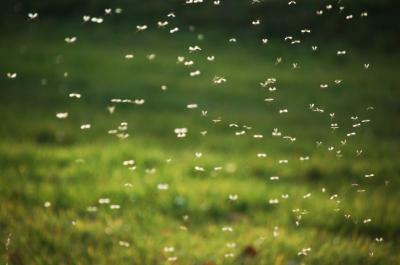 Their data showed 3.5T insects actually migrate every year to and from the UK. This is a total biomass of 3,200 tons! That is 7x larger than the 30mm birds that leave the UK for Africa each year. It also seems this insectoid migration is critical for pollination, food sources for birds and bats and agricultural pest control. This massive bug migration reminds us of social media and how some banks still seem to think it is just a pest vs. an important part of business communication. Over the years, there has been significant banter about whether or not social media is a colossal waste of time for end-users. While there are merits to both sides of this debate, more and more banks are finding productive ways to approach customer interaction through social media. This is not a bad idea as almost 80% of Americans now use social media. Knowing that, we thought we would look into a few examples of how banks are using social media smartly (yes, that is a UK word). Consider for instance, a MA based community bank that extensively uses social media. It successfully launched a new product by leveraging social media. It began well in advance of the actual rollout with significant social media prep to get customers excited about the new product. The product allows users to withdraw cash from ATMs without using a card. To get things buzzing, the bank offered a teaser on social media, posting that something exciting was in the works and asking whether customers were ready. That one post alone was the bank's top-rated content for the month and reportedly garnered more than 2k impressions and 70 engagements. The bank's social media savvy staffers also did a live Q&A on a social network. What's more, this bank also used Hootsuite - a platform for managing social media - to find and reach out directly to influencers and play up its campaign. Additionally, it published campaign content and used the social media tool to monitor its brand mentions and interact with customers directly. Some banks are increasingly using social media to promote social action opportunities and generate goodwill for their brand in the process. For example, a community bank in NY launched a campaign on Thanksgiving to help feed the hungry during the holiday season. Customers were encouraged to post a selfie to social media encouraging friends to join the campaign. For each person that purchased a gift card and posted using a customized hashtag, this community bank pledged to donate an additional dollar to help feed the hungry. In addition to this campaign, it also routinely posts various community service-related opportunities on its Facebook page. While there are certainly many productive ways to use social media, banks have to exercise significant caution as well. For instance, there are specific regulations around both static and dynamic content that should be reviewed and followed. Further, there can be serious brand consequences when social media campaigns go awry. While we haven't seen any major gaffes by banks in the past few years, the possibility certainly exists, so we urge bankers to exercise caution when designing campaigns. When used properly, social media can offer community banks several productive advantages compared with traditional marketing. However, given the velocity and breadth of social media, there's not much wiggle room for mistakes, so bankers are urged to migrate carefully in this area. Yields shot up 5bp as news on Trump's tax announcement strongly piqued investor interest. A survey by YPO Global Pulse finds confidence among CEOs of US companies jumped 4.2 points to 64.6 in the latest quarter, which is within a half point of its record high hit in 2012. Researchers say President Trump's moves to reduce regulation and a focus on cutting taxes appear to be the primary drivers for the shift. Former Fed Chair Bernanke said he thinks the Fed should wait until short term rates are meaningfully higher before starting to shrink the balance sheet. Fed San Francisco President Williams said it could make sense for the Fed to raise interest rates at the Mar 15 meeting, as the balance of risks is shifting towards the upside. The world's largest shipping firm, Danish company Moller-Maersk, conveyed that demand outstripped supply for the first time in 7Ys. A survey by Deloitte finds the share of millennials who say they expect to leave their job within 2Ys for another opportunity has declined from 44% in 2015 to 38% as of Q3 2016. Meanwhile, the percentage who said they expect to stay at their current job for 5Ys or more climbed from 27% to 31% over the same period. This looks like a clear shift toward job stability. PwC research finds 73% of surveyed directors at financial services companies say their board has a separate risk committee vs. 17% of directors at other companies. Research by TeleSign finds 21% of people use passwords that are 10Ys old or older. Deloitte research finds employees only get about 1% of the typical workweek to focus on training and development.